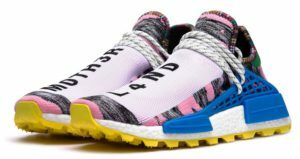 The Pharrell Williams x Adidas Hu NMD has been one of 3-Stripes’ most successful collaborations over the past few years. 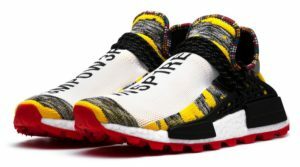 This unique silhouette has had hypebeasts and celebrities paying high prices to rock PW’s inspirational messages. Each release seems to follow a theme. 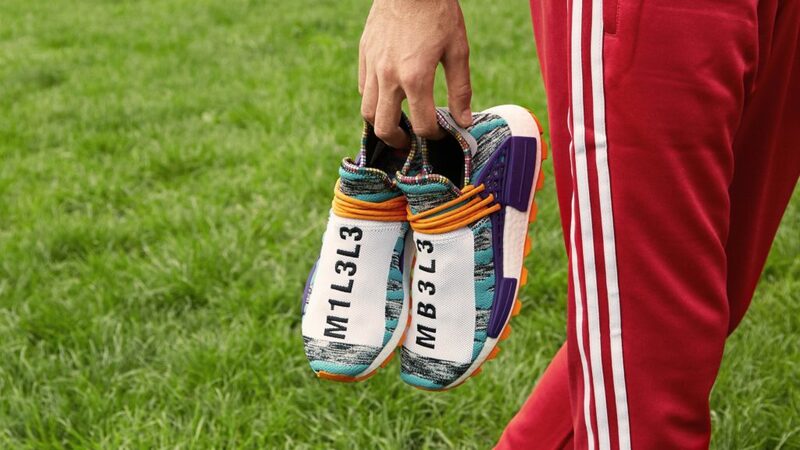 The Pharrell Williams x Adidas “Solar Pack”, sometimes dubbed “Afro Pack” has African inspired colorways and messages. The SolarHu features a PrimeKnit upper and thick tread. 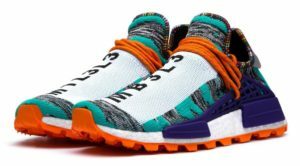 As with all Hu NMDs the unauthorized pairs are indistinguishable and readily available pre release so use extreme caution if buying from a private seller. You can enter raffles now, and if you strike out try again on Saturday August 18th at the retailers below.